The Old Bailey online website is a great free website that holds the court proceedings of London’s central criminal courts from 1674 to 1913. Why do you want to use this website? Well, when convicts were sent to Australia, they had to go through the courts to get sentenced. On convict records, the offence may be noted but not the circumstances of the case. To find that you need to consult court records that the Old Bailey online has. The court records give details of the case and even testimony from the convicted person. Like poor Annie that claimed innocence of shoving a man’s wallet down her top when he was having a drink at the local bar. How do those wallets get into your clothes like that? The Old Bailey Courthouse was situated on Bailey Road which followed the old fortification of the city. The Old Bailey Courthouse is in central London and was right next door to the Newgate Prison to make it easy to transport prisoners. And although the original buildings from 1674 no longer exists a new building was designed and opened in 1907. 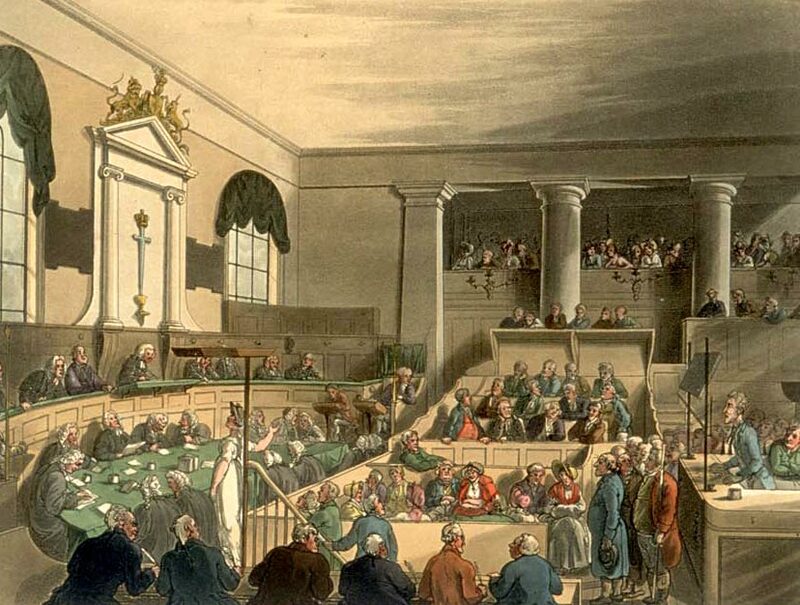 The old bailey online is a free website the holds the court proceedings of London’s central criminal courts from 1674 to 1913. The website is the culmination of three universities working together with money raised from the British Government and the Lottery Fund. The funding for the website has stopped now, so they have had to incorporate advertising to keep the service free to use. Initially you can search for a person from the home page at www.oldbaileyonline.org But I find that searching from there doesn’t really hit the mark. As when I searched for “George Warren”, everything with the name “George” came up and not specifically “George Warren”. If you have searched before you may have a reference number of the case that you can type in. A sister website, called London Lives has “…records relating to crime, poverty, and social policy in eighteenth-century London. London Lives is a fully searchable edition of 240,000 manuscripts from eight archives and fifteen datasets, giving access to 3.35 million names.” The website was launched in 2003 and has been constantly improved. A lot of information was loaded onto the website and now the process of making the information user friendly and checking the transcribing of records is a constant. I find the Old Bailey website an enjoyable website to dig around in. I think everyone loves a good crime story and the Old Bailey has some of the best. Reading through some of the details in the court cases, like the look of a man and his whiskers, make you feel like you were there. You may find a wide range of records, from very brief facts to long trials for murders, but it adds to the flavour of our ancestors history. Please feel free to share this article because – understanding the past can bless the present. Last updated by Nicol Warren at November 17, 2015 .
convict court records, Court records, Old Bailey, Old Bailey Online, sentencing for convicts. Bookmark. Thank you for sharing this source. This will be fun! I’ve included this post in my Noteworthy Reads for this week: http://jahcmft.blogspot.com/2015/11/noteworthy-reads-24.html.